Americans have been taking multivitamin and mineral supplements since the early 1940s, when the first such products became available. Today, millions of Americans continue to search for ways to boost their health and immunity through supplements. 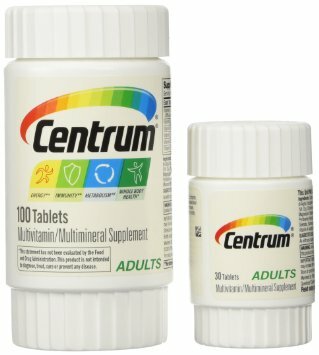 One of the most popular ways that people try to achieve a balanced blend of essential vitamins and minerals is through taking a daily multivitamin, such as Centrum vitamins. Centrum vitamins are the No. 1-selling multivitamins in the country but not without contention. The enormous vitamin brand is now owned by Pfizer, the largest pharmaceutical company in the world that deals mainly in manufactured chemicals. Pfizer is no stranger to controversy, fraud and legal battles. So you must ask yourself, is your multivitamin hurting or helping you? As we said- Pfizer is no stranger to controversy, fraud and legal battles. 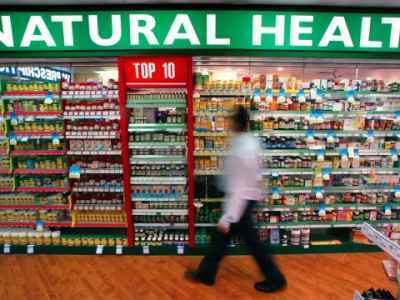 Another concerning issue with the multivitamin market in general is its lack of specificity, regulation and even standards. Multivitamins, “multis,” “MVMs” or “multiples,” as they’re sometimes called, require no set standards or levels, and can blend any various cocktail of supplements in order to be considered a multivitamin. When billion-dollar companies place huge amounts of money into ad campaigns for vitamins like Pfizer does with Centrum vitamins, the ramifications for blindly taking chemically and synthetically enhanced supplements can be very damaging for your health. I have previously discussed how vitamins have many whacky fillers — like supplements being made from shower scum. Would you believe some of the same chemicals used to make coal, line tin cans and propel jets might be found in your multivitamin? It’s true, and it’s why you should avoid these dangerous vitamin fillers. Hydrogenated Oil — Otherwise typically safe in their natural state, hydrogenated oils quickly turn toxic when processed under extreme heat, atmospheres of pressure and injections of metals. 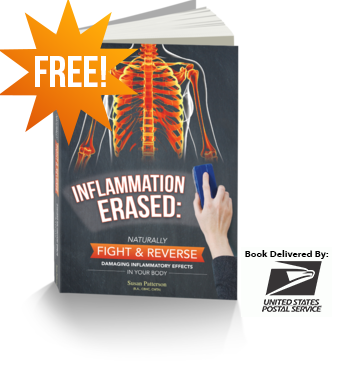 Ingesting these oils clogs the arteries, causing massive heart and arterial issues, as well as producing cholesterol to bandage artery walls that have been impacted. Because of the vascular problems, the brain is often affected, and side effects can lead to Alzheimer’s and ADHD. In some cases, it can only take minutes after ingesting to start impacting your system! Polyethylene Glycol — This compound is often used in the manufacturing of coal-burning plants, rocket fuel as well as over-the-counter laxatives. This additive can cause hives and other allergic reactions, kidney damage and esophageal bleeding, or tears. It ‘s also been linked to autism. One other side effect, sometimes more common in children, is called encopresis, which is a continuous leakage of semi-formed feces. 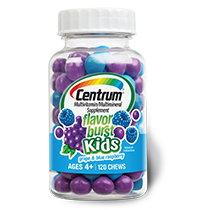 It’s hard to believe but true that Centrum vitamins for children have even more health hazardous ingredients than the adult multivitamins, while also including many of the same toxic additives the rest of the vitamin line carries. Who says you can’t get more when ordering from the children’s menu? In this case, it’s certainly more than you would ever want for your children. Zinc Oxide — Also classified as harmful and hazardous in Europe, zinc oxide is what makes the SPF in sunscreens — and why most sunscreens are toxic. It can cause constipation, diarrhea, upset stomach and more. Sugar (Sucrose) — Sucrose, the common extraction of cane or beets and more commonly known as table sugar, has over 100 adverse side effects. One that sits at the top of the list is a food source for cancer. Others include obesity, hyper-anxiety, immune suppressant, diabetes, suppressor of mineral and vitamin absorption, and more. Lactose (Milk Sugar) — Lactose makes up about 2 percent to 8 percent of the milk by weight. 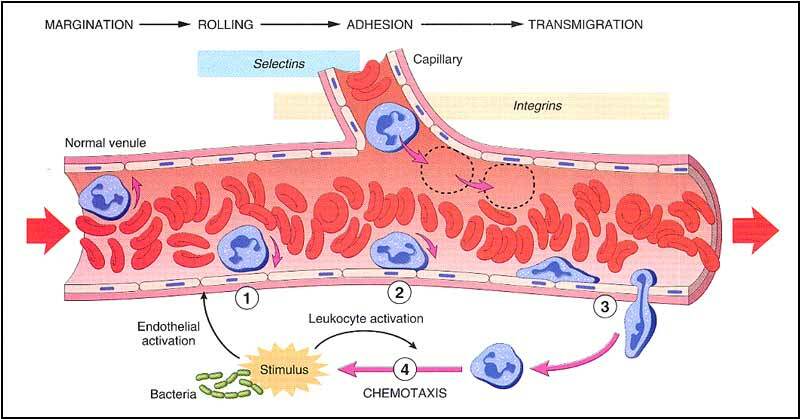 It’s broken down in the stomach by specific enzymes. It’s also what leads to many people to suffer from symptoms of lactose intolerance or unable to digest these lactose sugars. The side effects, or being intolerant to these sugars, can lead to bloating, cramping, upset stomach, vomiting, nausea and diarrhea. The most ideal scenario is to get your daily vitamins and minerals through the consumption of real, whole foods. If you plan on taking a supplement, however, you ideally should not have to reference a scientific encyclopedia to understand what’s in your vitamin. Plan to stock your fridge and pantry with some whole foods that are more easily absorbed and processed by your system first and foremost before rushing to the supplement aisle. Vegetables — Start here and never leave. 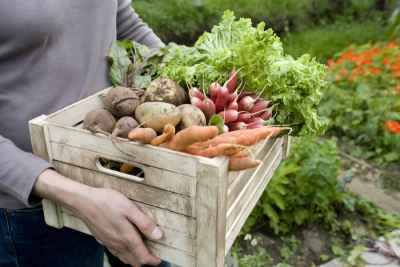 Loaded with vitamins, minerals and phytonutrients, vegetables should be the most abundant source of vitamins and minerals in your diet each and every day. For every negative side effect of the additives and fillers in mass-market vitamins, there is an opposing, health-promoting benefit in vegetables. Some of the most nutrient-dense vegetables include leafy greens, broccoli, avocados, Brussels sprouts, cabbage, sweet potato and watercress. The list of benefits goes on and on, which is why you must eat your veggies daily. Herbs — Herbs are the Mighty Mouse of the food world. They’re loaded with nutrients, antioxidants, phytosterols and essential oils that promote health in a small package. 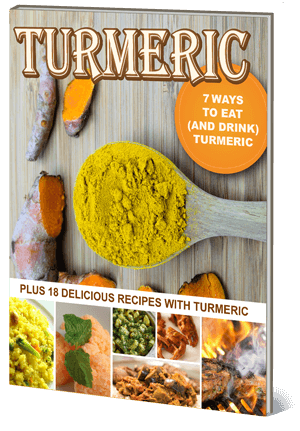 Curcumin, found in turmeric, is one of the most powerful antioxidants known to fight against cancer, pain and brain diseases. Volatile oils found in many of the herbs have been used to fight cancers as well as many other ailments. These oils also help in weight loss, deodorizing, anxiety, digestion and more. Some of the most powerful include turmeric, garlic, parsley, basil, ginger and oregano. Fruit — Similar to vegetables, fruits contain high amounts of vitamins and antioxidants. They’re a large source of folate, vitamin C, fiber and potassium. They help lower blood pressure and reduce the risk of heart disease. Many of the “superfoods” around today are fruits. The top five most antioxidant-rich fruits are pomegranate, acai berry, maqui berry, goji berry and red grapes (particularly the skins). Sprouted Grains, Nuts, Seeds and Beans — Sprouting is essentially the practice of germinating seeds — whether grains, nuts, beans or other kinds of seeds — so they’re easier to digest and your body can access their full nutritional profile. A major benefit of sprouting is that it unlocks beneficial enzymes, which make all types of grains, seeds, beans and nuts easier on the digestive system. This also helps increase beneficial flora levels in the gut so you experience less of an autoimmune type of reaction when you eat these foods. Organic, Grass-Fed Meat and Wild Game — Omega-3 fatty acids are essential for the body as healthy fats, and organic, grass-fed meats have high amounts of them — in fact, two to four times as much as grain-fed meat. Grass-fed meats and wild game are typically richer in nutrients but lower in fat and calories. Grass-fed meats are also rich in CLA, another healthy fat that battles cancer, as well as vitamin E.
Free-Range Poultry and Eggs — Similar to grass-fed meats, free-range poultry and eggs contain much more nutrients and good fats than the commercial, caged variety. They contain more beta-carotene, vitamin E and A, as well as omega’s, all while having a third of the cholesterol and a quarter of the saturated fat. Free range eggs are also one of the few foods that contain vitamin D.
Wild-Caught Fish — Wild-caught fish are much better for you and provide essential fatty acids without the increased levels of hormones, colorings and potential toxins found in many farmed fish. Wild-caught fish provide an excellent source of protein as well, and when eaten at least twice a week, they can help reduce the risk of Alzheimer’s and other diseases. Pastured Raw Dairy — Raw dairy vastly outweighs pasteurized dairy and can help your body in many ways. Not only does it come loaded with fat-soluble vitamins, minerals and acids, but it also boosts the immune system; can help with skin, nails and hair; and helps fight cancer as well as many digestive disorders. Do’s: 100 percent organic and 100 percent whole food-based, either raw or low-temperature heated. Also make sure the vitamin contains minerals, which are key to vitamin absorption. 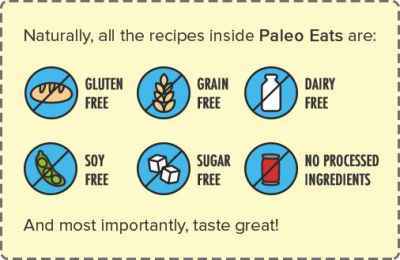 Dont’s: The label should not read any soy, gluten, corn, hydrogenated oils, preservatives, GMOs, colorings or dyes, or binders like magnesium stearate. You also don’t want any USP-verified vitamins, which might sound good but contain synthetics. It’s very important to read the labels of everything you buy, and that includes your health supplements. Not every supplement is actually “healthy,” particularly these Centrum vitamins. It’s also very important to understand the market today. Large pharmaceutical companies like Pfizer are actually the creators of multivitamins. You almost have to wonder if they want you to have negative side effects from their vitamins so you’ll then need their endless prescription medications. Otherwise, why on earth would they put so many hazardous ingredients in a “healthy” product, the way Pfizer does with its Centrum vitamins. When considering your daily intake of vitamins and minerals, it’s essential to mainly base your intake off of whole foods. Your body knows what to do with these whole foods. If you need or want to supplement with a multivitamin, steer clear of synthetic and dangerous options like Centrum vitamins, and choose a high-quality, real food vitamin. 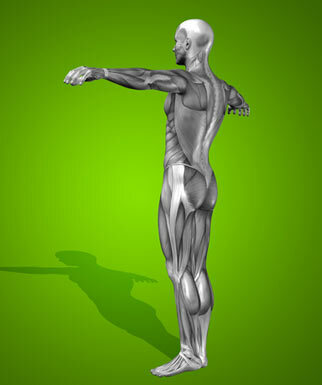 Your body will certainly thank you for many years to come!